Nothing had worked. Not threats or negotiations, not shutting down the betting parlors or opium dens, not throwing Chinese offenders into prison. Not even executing them. The New York DA was running out of ideas, and more people were dying every day as the weapons of choice evolved from hatchets to automatic weapons and even bombs. Welcome to New York City's Chinatown in 1925. The Chinese in turn-of-the-last-century New York were mostly immigrant peasants and shopkeepers who worked as laundrymen, cigar makers, and domestics. They gravitated to lower Manhattan and lived as Chinese an existence as possible, their few diversions-gambling, opium, and prostitution-available but, sadly, illegal. It didn't take long before one resourceful merchant saw a golden opportunity to feather his nest by positioning himself squarely between the vice dens and the police charged with shutting them down. 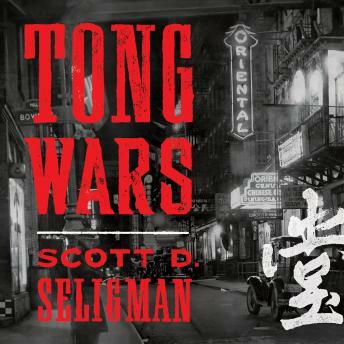 A mesmerizing true story, Scott D. Seligman's Tong Wars roars through three decades of turmoil, with characters ranging from gangsters and drug lords to reformers and do-gooders to judges, prosecutors, cops, and politicians of every stripe and color.